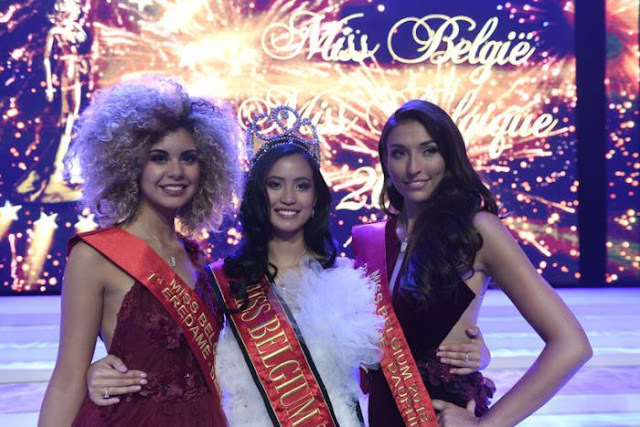 DE PANNE, Belgium - Angeline Flor Pua (22) was crowned Miss Belgium 2018 at the Plopsaland Theater in De Panne on January 13. She will represent Belgium in Miss World 2018 and/or Miss Universe 2018. Zoe Brunet was the first runner-up and Dhenia Covens was the second runner-up.